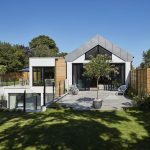 Architect Richard Dudzicki explains the tricks and challenges of designing a £500,000 house on a £250,000 budget. Richard's practice concentrates on residential architecture, initially with ecological buildings but now with a focus on Passivhaus. He likes the physics that tells you how the house will perform, and the results that it achieves. 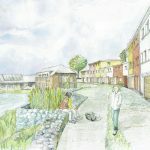 It is not uncommon for Richard to have taken on multiple projects in the same street, based on recommendations, with the Passivhaus Mews II development being one of those. The site is off a Georgian street in an historic part of London, around the back of Camberwell Grove. The buildings on the main road are Grade II listed, and the Mews where they have built the Passivhaus falls within the conservation area. The ground conditions in the area can be challenging, as they are London clay, and with the numerous mature trees there can be problems with subsidence. The client was a lady in her seventies, at the time living in one of the Georgian houses but finding it too large for her needs. She wanted to take a section of the garden and build a modern, 120 square metre, three bedroom home with a courtyard and off-street parking, for £250,000. In order to keep down costs their first application was for a rendered exterior, but this fell foul of the planners, conservation department and Camberwell Society, who didn't want a mock pastiche of a Georgian building, but instead wanted something of the time. During the development of the plans, Richard had been able to persuade his initially reluctant client to build to the Passivhaus standard. It was at this time that she also announced she would need garden space for the pre-fab training pool that she had just put a deposit down on! One of the biggest challenges was fulfilling the need for off-street parking, and designing it for a large, electric car that would likely be more commonplace in the future. The building envelope, being a rectangular box shape, had to have an area taken out of it on the ground floor for the parking space. With the house not being wide enough to have a garage and door, they used it as an internal courtyard outside of the thermal envelope. 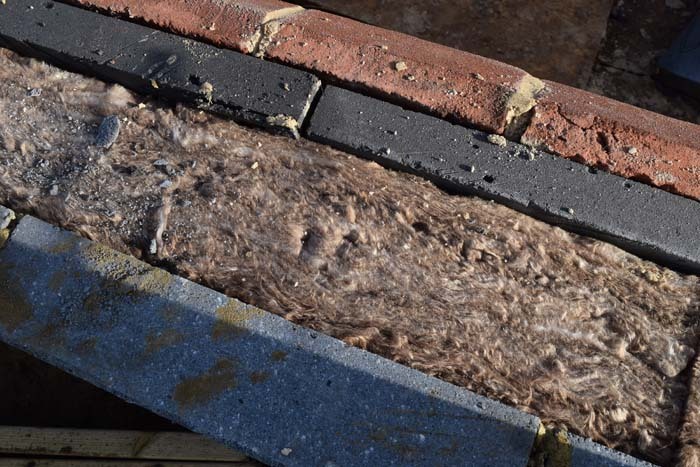 That meant they had a larger surface area exposed to the cold which in turn added around £7,000 to the cost for additional insulation required. One of the logistical elements of designing the building package was how they were going to get everything on to the site, and that's where the SIPs panels came in. 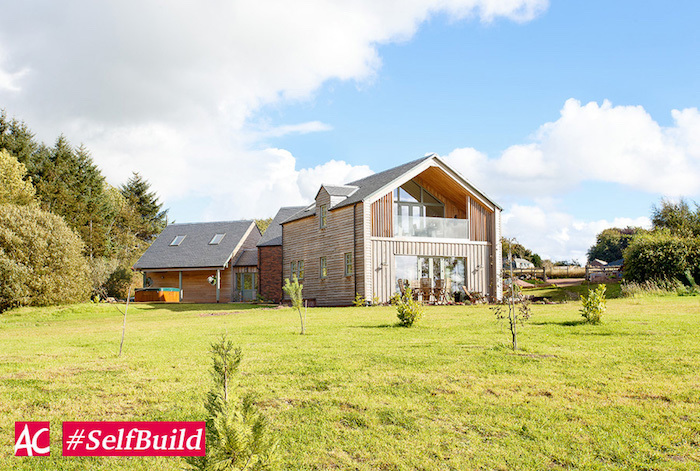 They designed it in such a way that they would be able to do it in three lifts, for a total price of £47,000 including all of the structural elements and insulation, from Kingspan SIPs Panels. 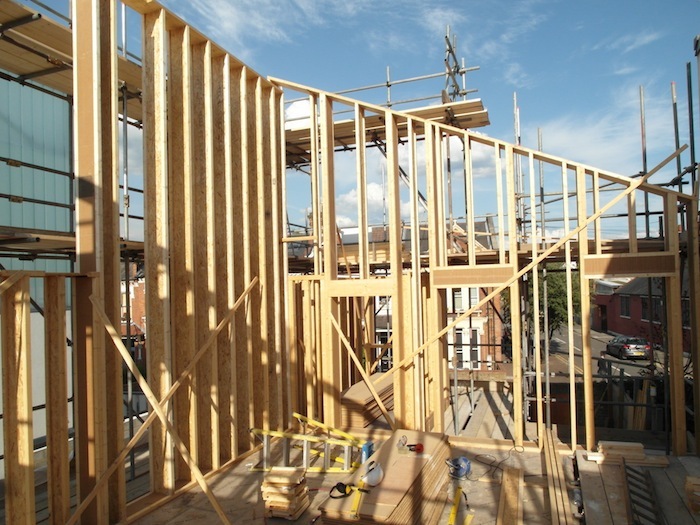 The speed and necessary logistics for accessing the space meant SIPs were an ideal construction method, and they were able to have the whole building erected in under three weeks. The panels they used were lightweight and thin, which was necessary for the limited site space they had. Richard gives a word of caution about insulating on the inside of SIPs panels, as you can have interstitial condensation. It's therefore important to have a condensation risk analysis done. 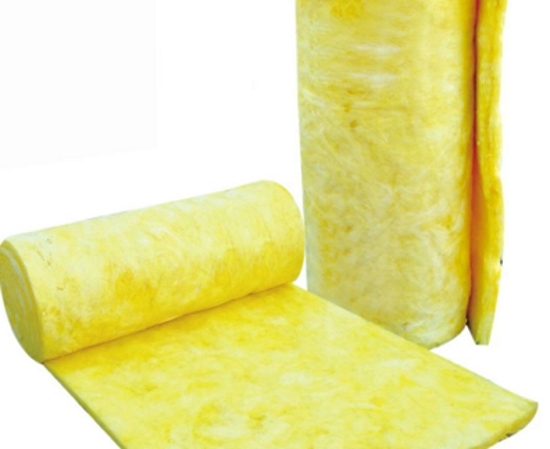 Putting the insulation on the outside makes it easier to adhere to and easier to deal with airtightness. Built into the contract was that there needed to be three air tests carried out. The first one was as soon as the building was erected, without the windows. 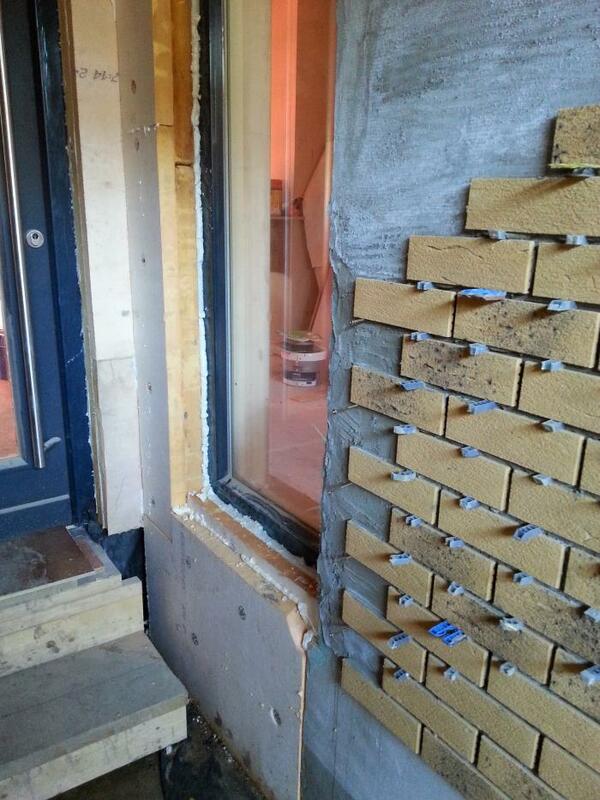 Instead they taped up the windows and doors with a damp-proof membrane and tested the frame, making adjustments to improve the airtightness where necessary. The second test took place once the windows had been installed. 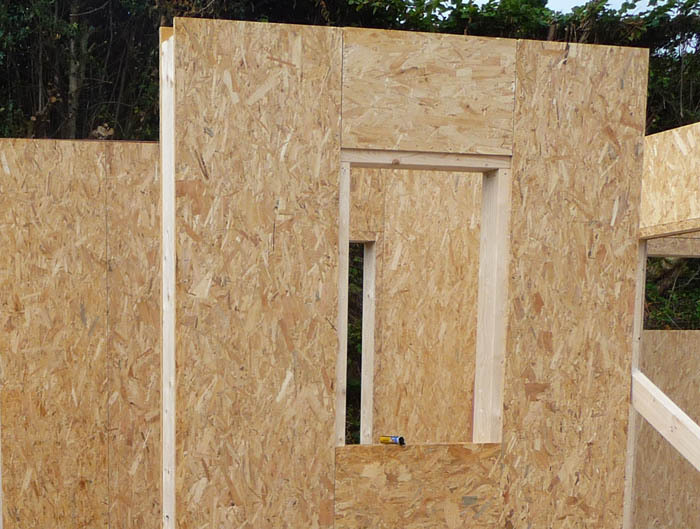 The result of this test proved that the manufacturers didn't know how to correctly install Passivhaus windows, so they had to come back and do them again. 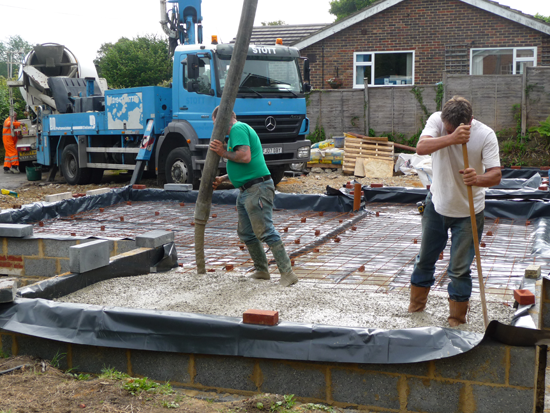 On this job they used two RIBA domestic contracts: one to cover the main building and one for the foundations. This provided protection for the client when the main contractor went bankrupt half way through the project. The client didn't lose money from it, but they did lose around 4 months of time while the contracts were sorted. The client wanted a very palatial feel for the interior, so a lot of time was spent looking at what she wanted and then working out how to substitute materials to bring it within budget. One way of saving money was to build the staircase out of MDF and paint it white, to give the effect she was looking for. The kitchen was imported from Italy, and even with the 2000 Euros delivery fee, worked out to be a good deal. 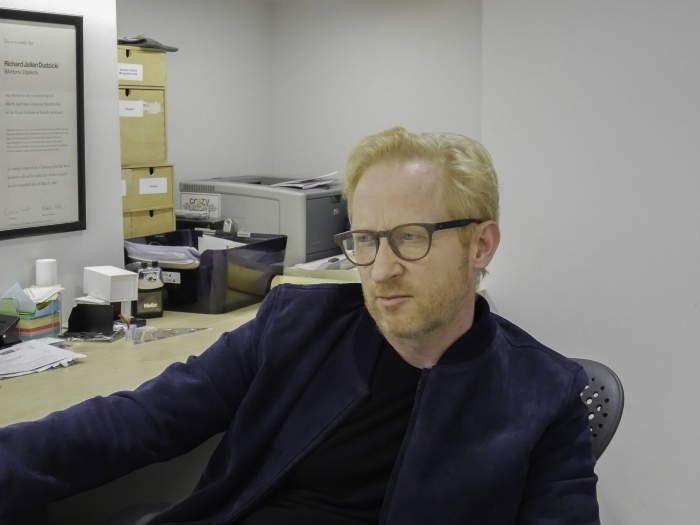 Richard advises against buying individual pieces on eBay, because unless you have a very cheap facility in which to store them, storage is going to be a problem. 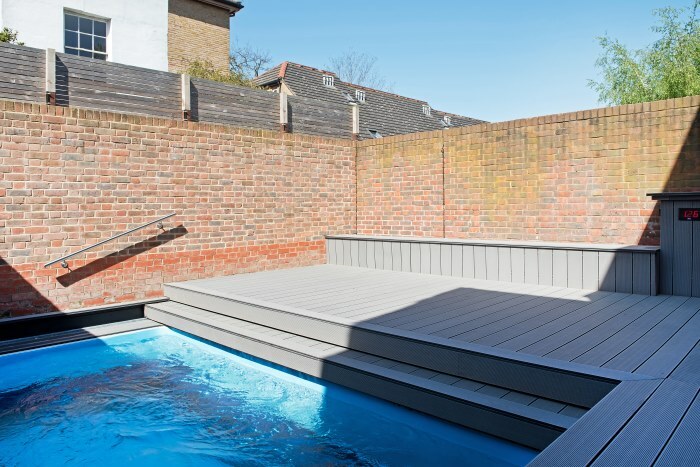 A chunk of the budget did have to be spent on a few bespoke items, like the front garage doors that roll back, and the garden deck that slides back to reveal the swimming pool. One of the other complex issues on this building was making the rooflight work without spending silly money. 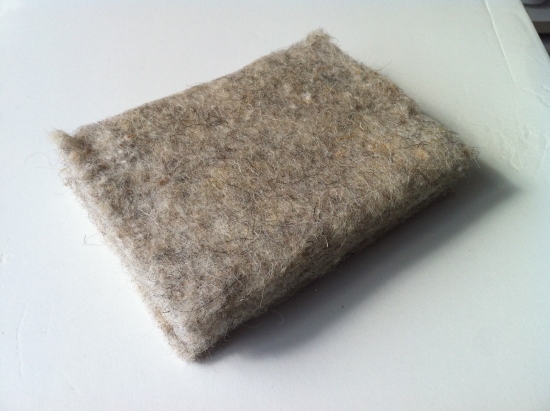 They achieved it by developing a system of sitting the rooflight in a foam glass sandwich. It also wasn't helped by the original builder having installed double glazed units instead of the triple glazed that had been specified. They got round this by putting in a further double glazed unit to create a quadruple glazed rooflight. There was many a time that the client had doubts about Passivhaus and wanted to leave it, but Richard stuck to his principles. 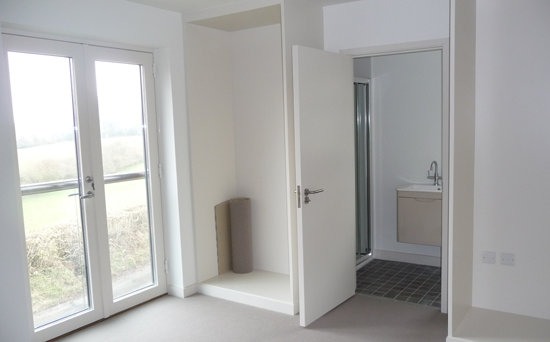 Thankfully the client now loves it and proudly shows off her house at Passivhaus open days. As a practice Richard thinks they probably made a loss on this job as all the R&D on the project probably amounted to three-times the number of hours that they actually charged for. 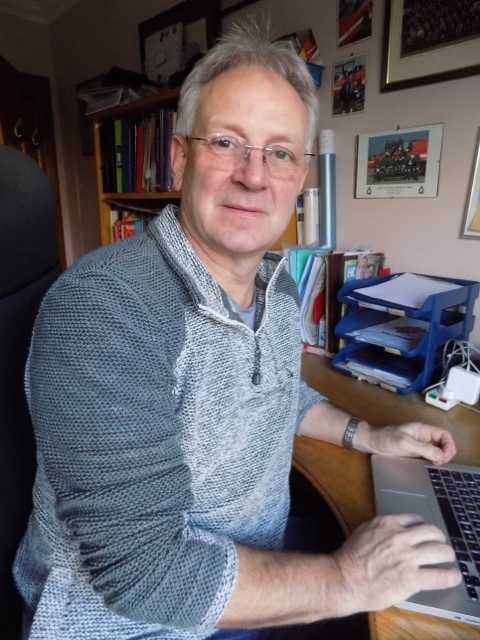 Richard however considers it a research project from which there was a huge amount of valuable information they were able to benefit by. Richard explains that the physics of Passivhaus is about 10% of the challenge, but making the house work for the client makes up the rest. There are many questions that he says a client needs to work through, rather than just thinking ‘I want to design myself a Passivhaus'. These would include how many children will live there, how long you plan to live there, whether it's going to be left to your children, the longevity of the house, whether it needs a ten year warranty, etc. 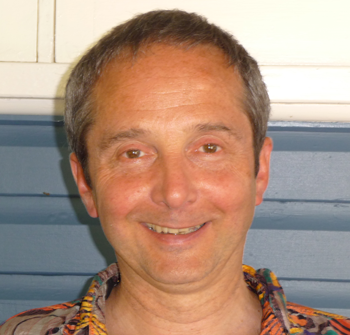 Download a transcript of the interview with Richard Dudzicki. 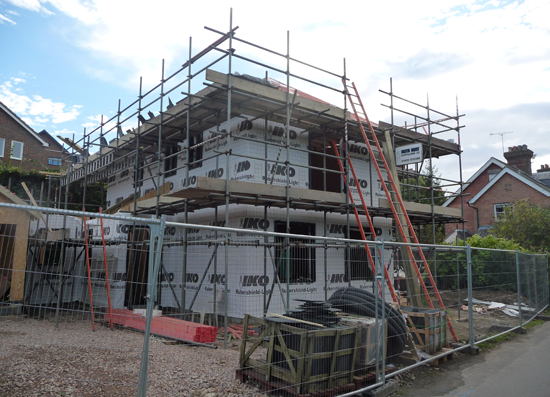 Paul Newman from Potton talks through the construction of the UK's first Passivhaus show home. 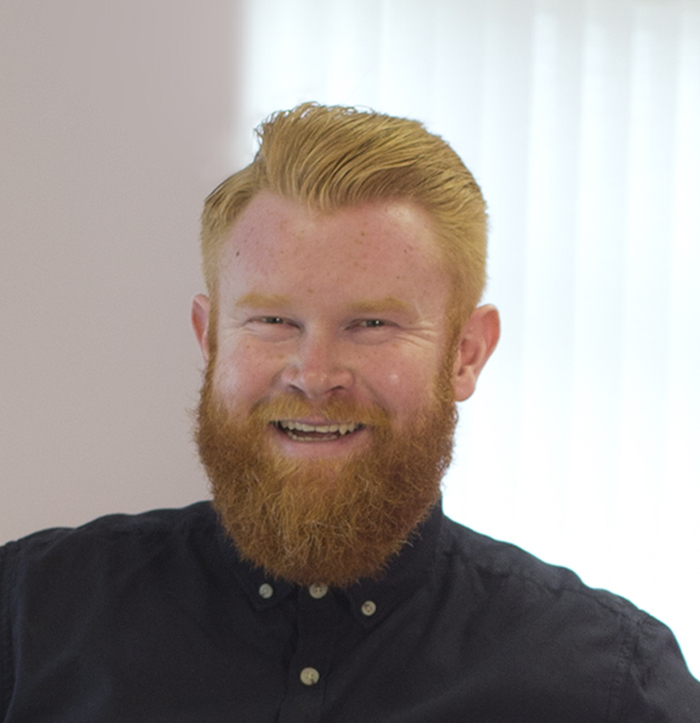 Paul Newman is the Self Build Director at Potton. Potton, which recently celebrated their 50th anniversary, have helped design and build over 6000 homes and have a portfolio of over 12,000 different designs. 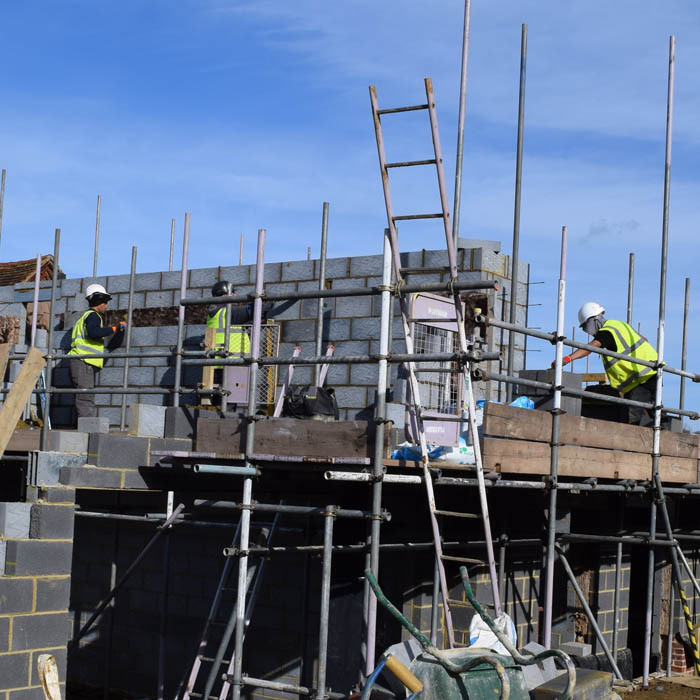 The Potton approach to custom build is to work with landowners to secure outline planning permission on their sites, with design left as a reserved matter. They find customers for those sites who then buy the land from the individual landowners. 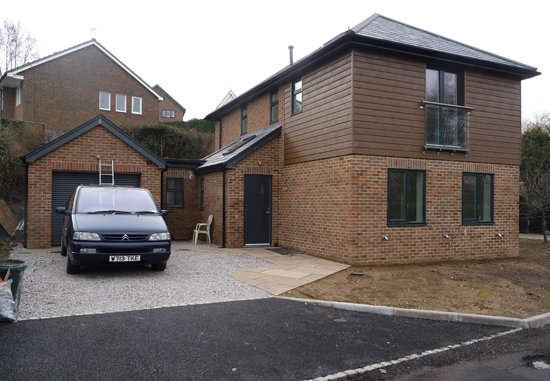 Potton then work with the customers to provide their normal self build package. 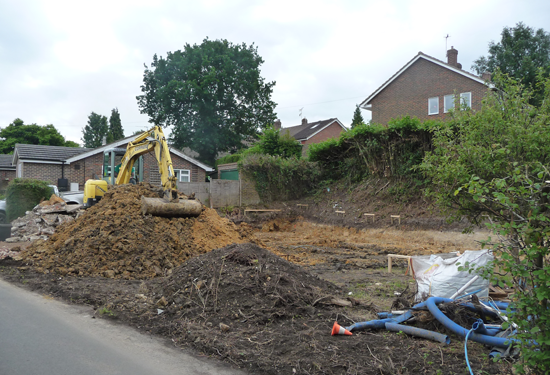 At their site in St Neots they have a show centre of completed houses, where they are currently adding a Passivhaus. They have been sharing progress of this build with video updates and have also allowed members of the public to experience it being built. 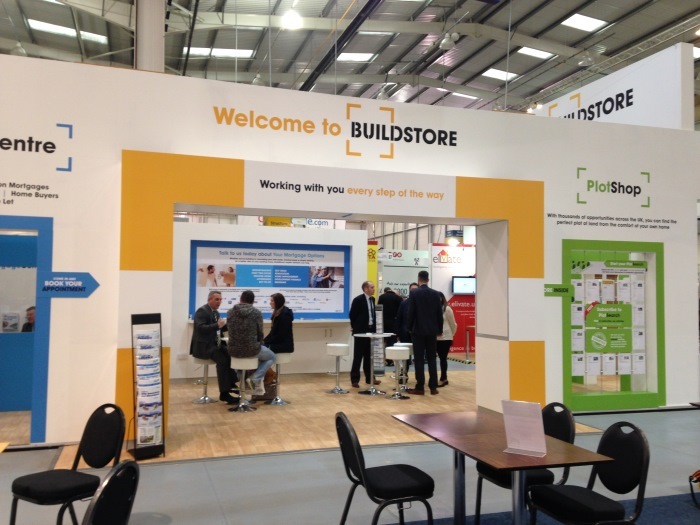 Potton have four complete show homes at their St Neots site and one at the National Self Build and Renovation Centre. 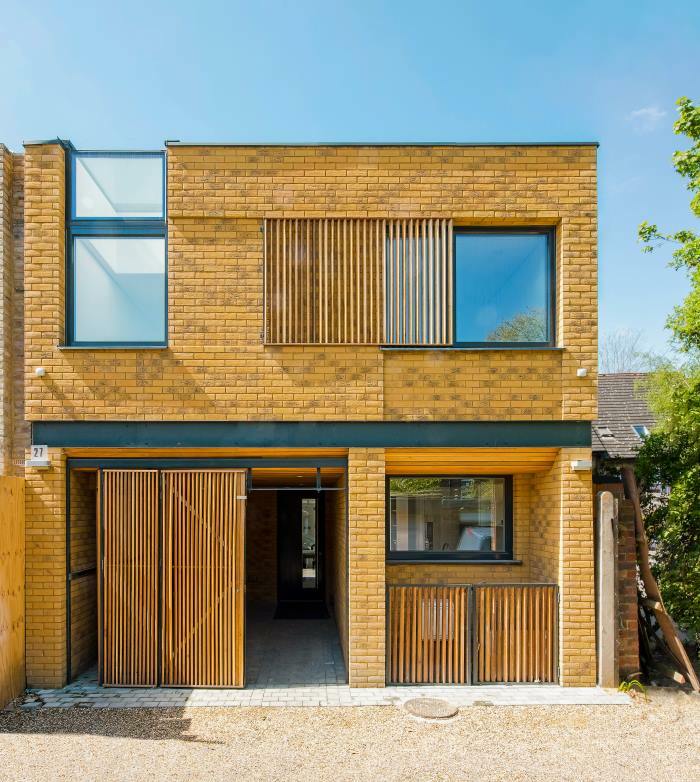 Moving with the changing market and increased demand for low energy homes, their last show house was constructed to achieve level 4 of the Code for Sustainable Homes. 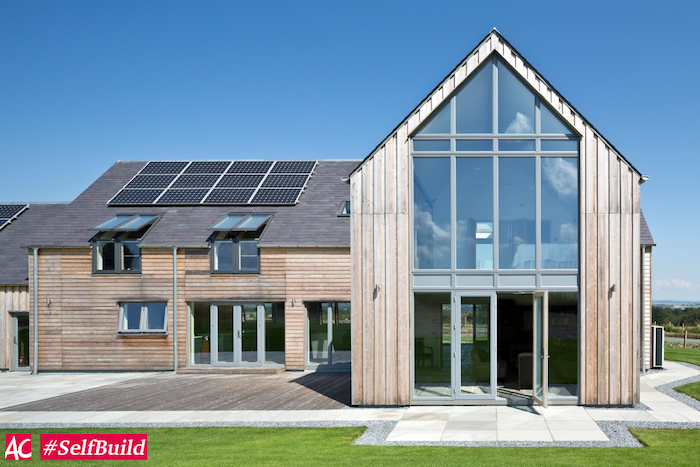 Wanting to move their business on and offer customers something new, they decided to construct a further show house, with a Passivhaus being the obvious choice. 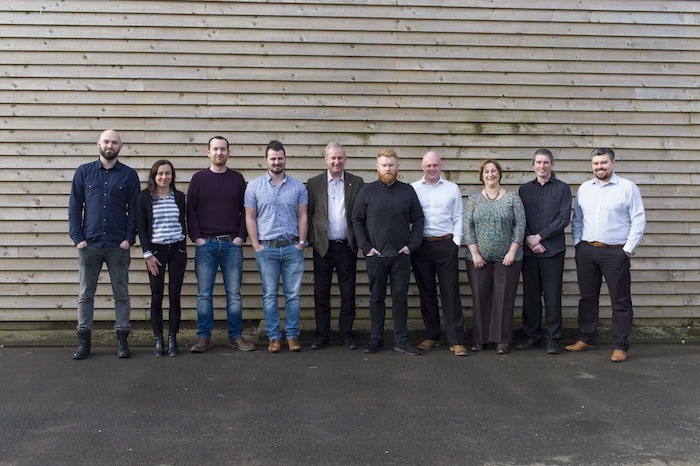 Their experience over the last 8 years has been that they're being asked more and more often about energy efficiency and low energy homes and hope that this Passivhaus and the lessons they have learnt from it will put them in good stead for the future. 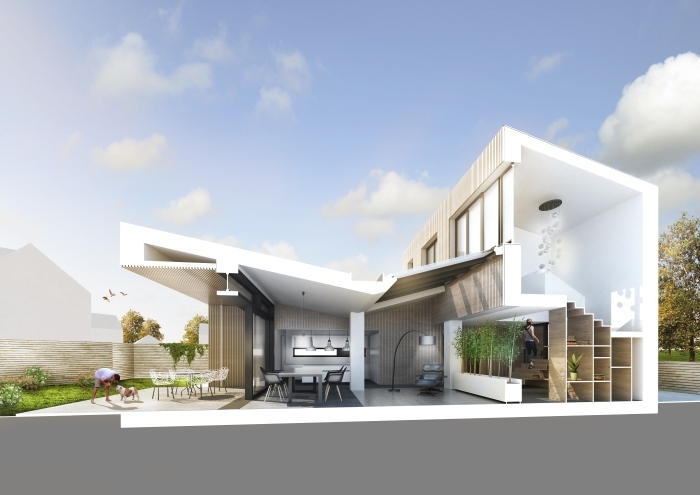 The design aimed to push the Passivhaus standard hard! In coming up with the design Potton were keen to challenge the reputation that Passivhaus buildings sometimes have of being simple, boxy designs. They expect to evolve different design forms based on this Passivhaus, while not necessarily directly repeating it. They worked with HTA Design, an external design consultancy, on the plans, and also had specialist help from Passivhaus experts WARM. The building form is quite complicated and has a valley roof, so from a thermal bridging perspective the junctions have been tricky to resolve. Paul also thinks their life would have been much easier if they'd taken 18 inches of height off the design! 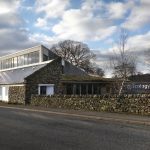 Something they found encouraging was the use of an innovative self adhesive breathable membrane which has contributed positively to the building's airtightness. 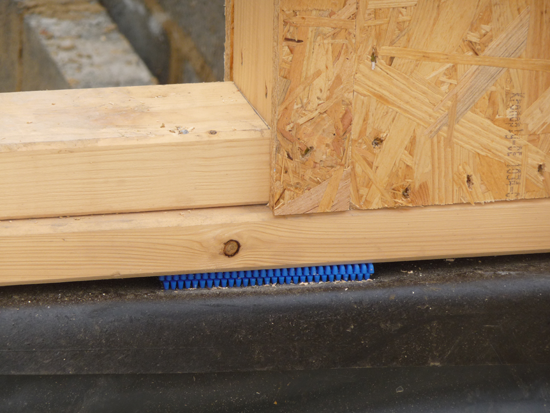 The first airtightness test had a figure of 0.68 but after some alterations they managed to get it down to 0.5. 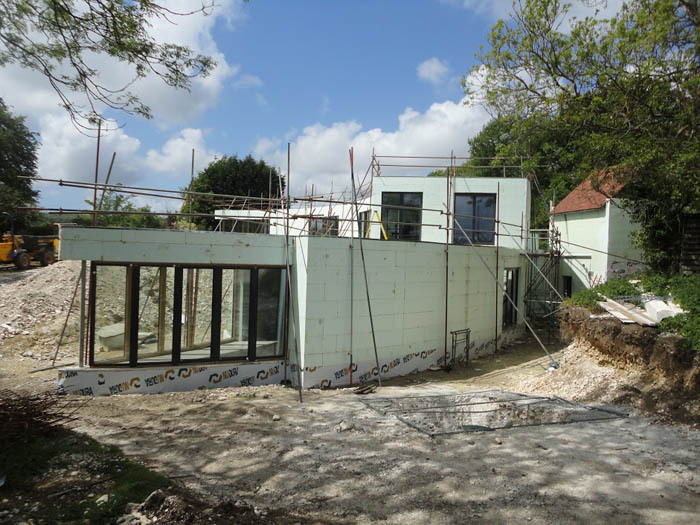 The house has been constructed with Kingspan Tek – a product which is certified by the Passivhaus Institute – and Potton have been using it for the last 10 years on both their self build and volume contracting business. 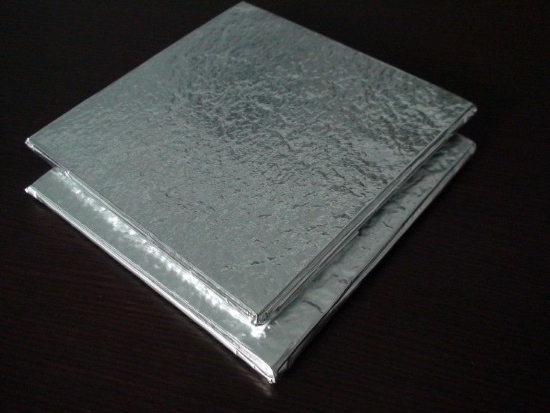 It provides a thermally robust solution and can be erected on site very quickly. One consideration, however, is that once installed it is hard to make changes to room layouts, etc. Paul explains that early modelling in the Passivhaus Planning Package was an important lesson for them when designing the Passivhaus. By doing this, something that showed up early on was that the building had a tendency more than was desirable to overheat. 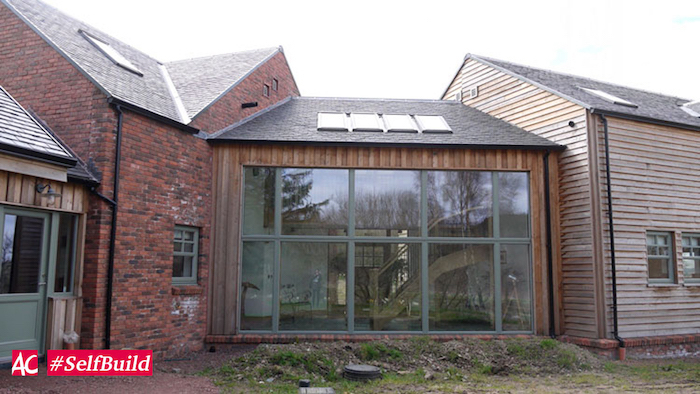 They were able to experiment by changing the overhangs, reveal depths and specification of the performance of the glazed units within the windows to make a considerable difference. 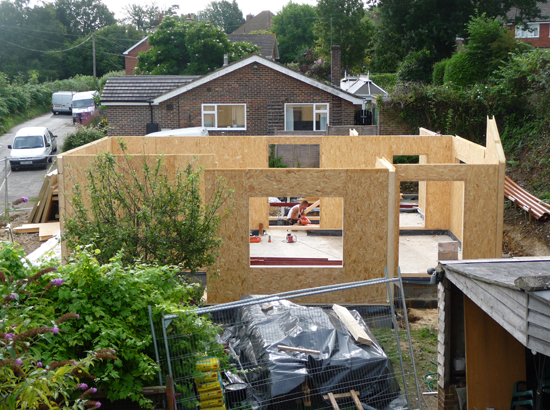 There are two main lessons that Paul feels they have learned from the Passivhaus self build process. 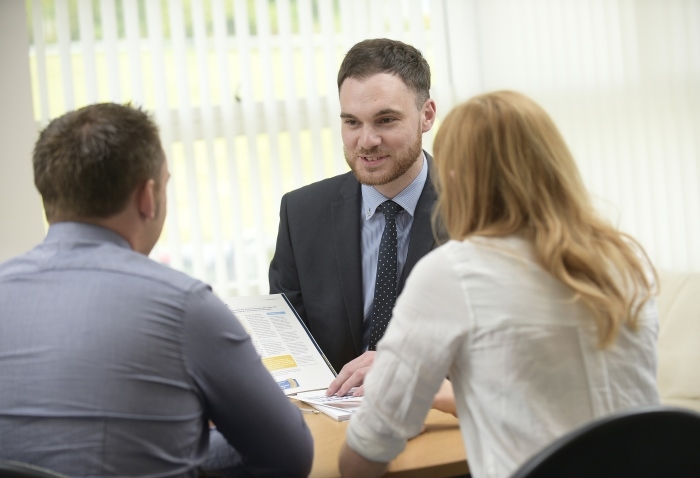 The first is the need to engage early on with suppliers to make sure they understand what you're trying to achieve, have the right products available and certifications in place where appropriate. While they did try and engage early with their supply chain, their lesson was that they actually should have engaged even earlier and placed some of their orders earlier too. 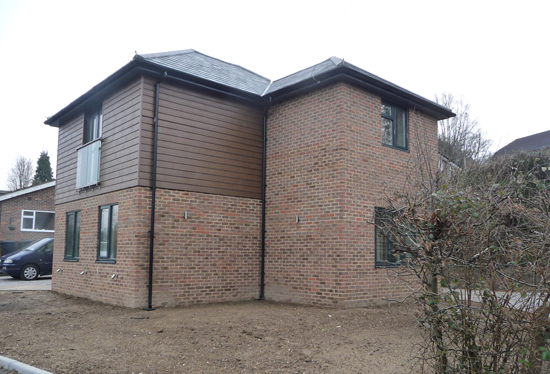 Secondly, Potton worked with sub-contractors who they have used on hundreds of other Potton houses in the past. 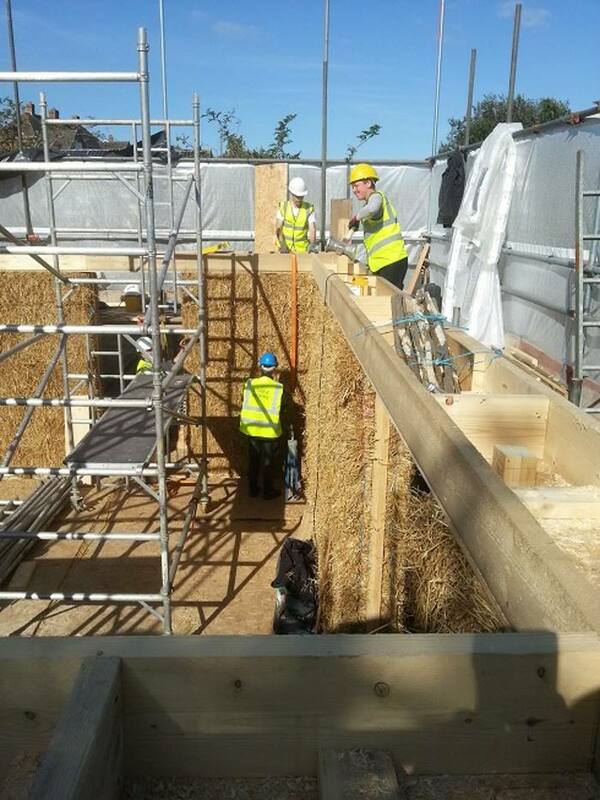 What they found was more attention to detail was required to achieve Passivhaus performance, and they needed to have their hands held tightly throughout. 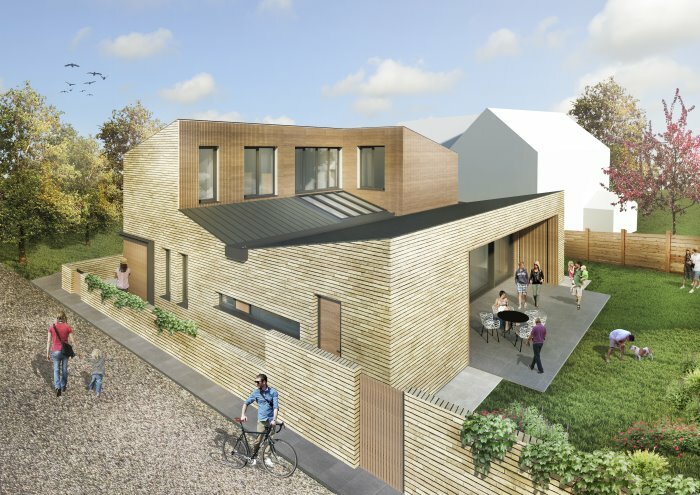 Paul thinks this is something that won't be unique to their build, as there just aren't enough experienced Passivhaus sub-contractors out there. Download a transcript of the interview with Paul Newman. 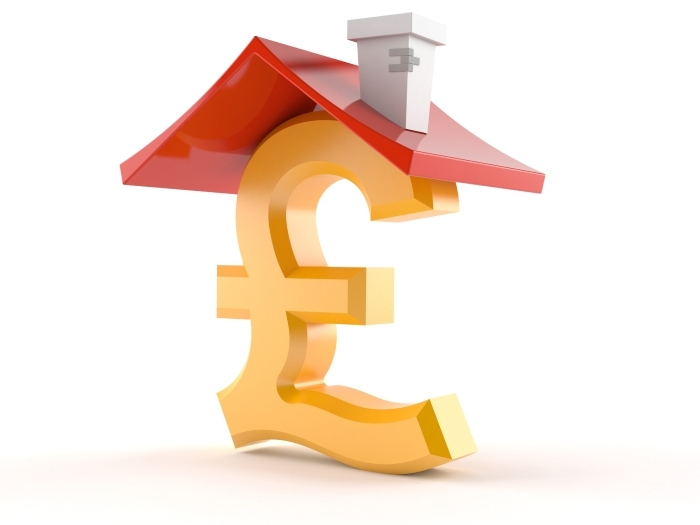 Our Getting Started module is for absolute beginners who want to know how to research a house build. We've laid out a logical route so you can get going. 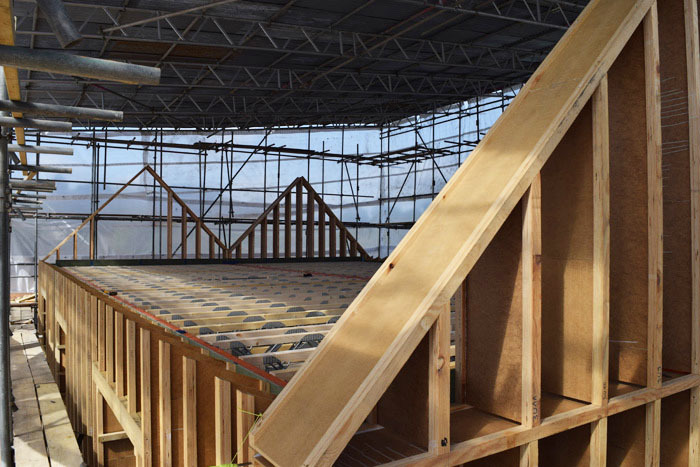 In the Long Barrow case study the latest video shows the steel frame going up, and explains the areas where they needed to be careful of thermal bridging as they wanted to attach a balcony and a brise soleil as well. Elements of The Hub are free to view, but for full access the price currently is just £45 for the year. Kingsley's background as a plumber has given him plenty of opportunities to see houses losing heat and that's why he was determined to build himself an energy efficient home. So, his goal was to create a small, flexible space with lots of natural light, that was easy to run and also cheap to heat. The new cottage would have a floor area of 125m2 and be built on a plot beside his existing property. 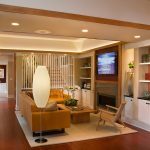 Despite Construction Experience, Kingsley Chose to be Just the Client! Although Kingsley's an experienced plumber he did not do any of the work himself, reasoning that it would not be a good idea to change the dynamic of a team that already works well together. He also hired a project manager because he believed that while he can work in a team, he did not have the necessary skills required to run a team and deal with the many things that can go wrong! Kingsley took the advice of his project manager and hired a contract administrator. This effective third party acts as a membrane between client and builder, and provides some neutral ground should any problems arise. Kingsley says that it worked well for both parties. Kingsley's first step was to sit down with an architect and talk through what he wanted to achieve from the new house. Whereas his existing home was from 1884 and had lots of nooks and small rooms, in contrast he was keen to create a more contiguous living space. Once a design was created and planning permission acquired, Kingsley had to decide on a build method. After researching structural insulated panels as an option and visiting houses that had been built with them, he chose this route. An engineer then reworked the SIPs method of construction to fit with the design. For example, where the timber panels were not suitable the engineer reinforced it with steel construction to achieve the required look. At no point did Kingsley have to compromise with the SIPs. 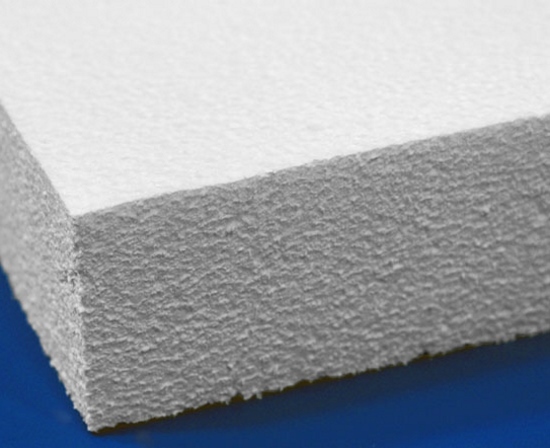 A Structural Insulated Panel is Like a Sandwich! 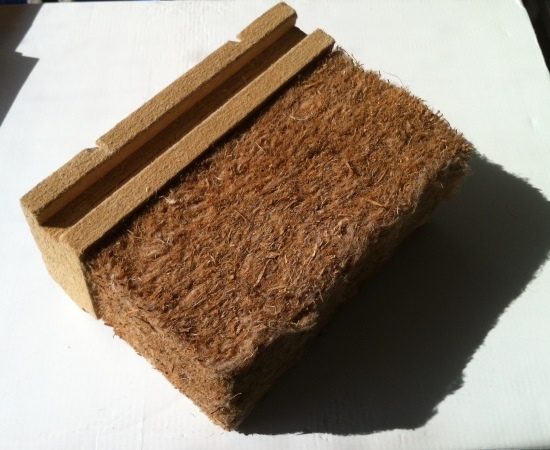 Kingsley talks about the structural insulated panels he used which consist of 2 layers of OSB with a core of PIR foam. 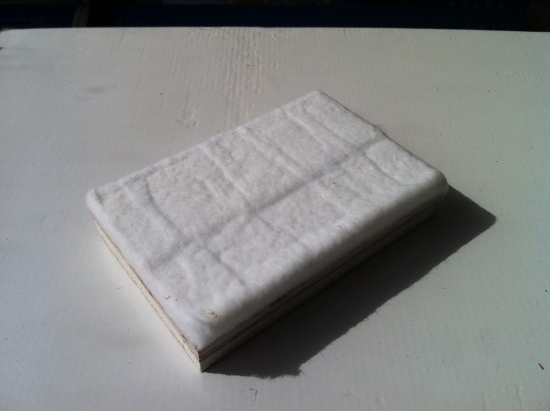 [An additional 25mm insulation, TW55, was also added to these Kingspan Tek panels on the inside behind the plasterboard lining, which proved very cost effective.] Once machined these panels form part of a kit, which turns up labelled and numbered. 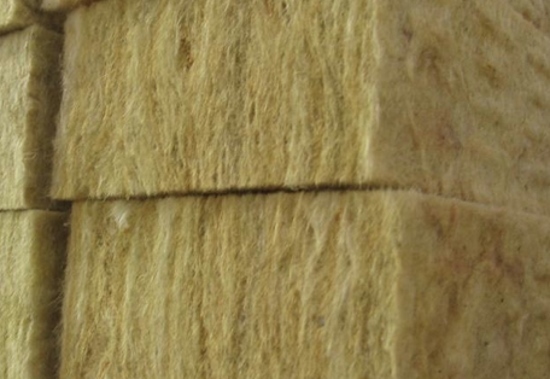 There are rebates, grooves and fillers that lock all the panels together. 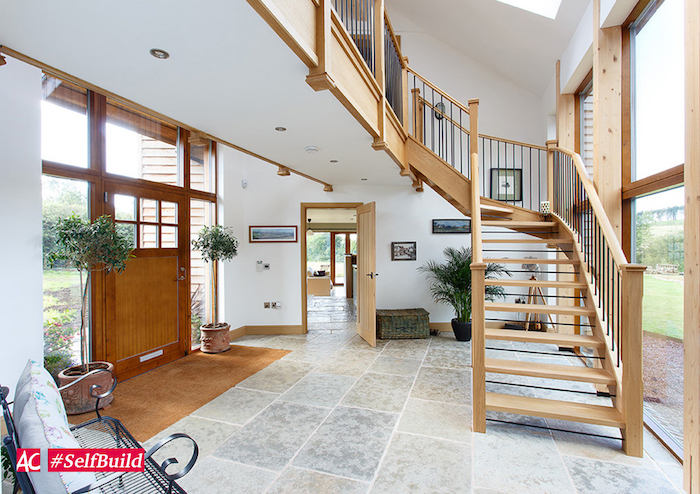 With the hard work done in a factory, one key advantage of SIPs is that they can be assembled on site very quickly. In this case, the ground floor was done in the first week and the second floor was done in the second week. 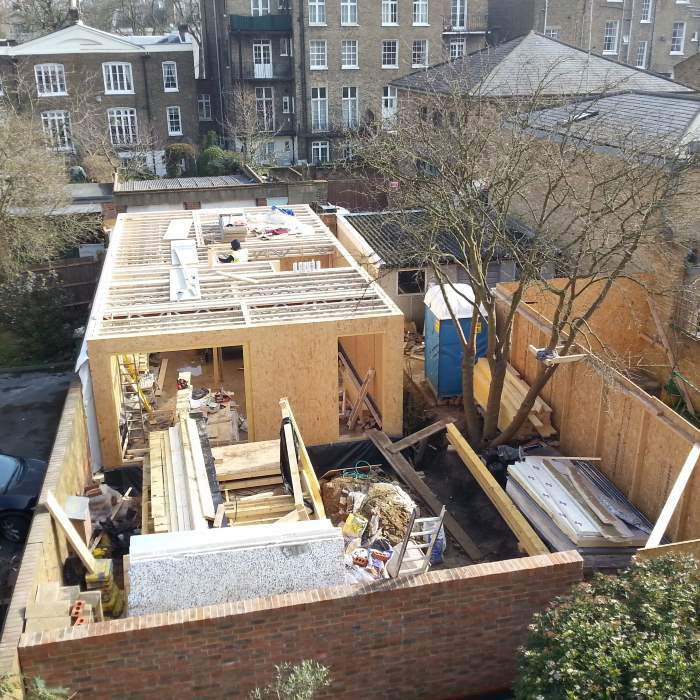 Having been in the trade for many years, Kingsley says the nature of block and breeze construction means you tend to work to the nearest inch. However, with SIPs you are working to about 3mm. 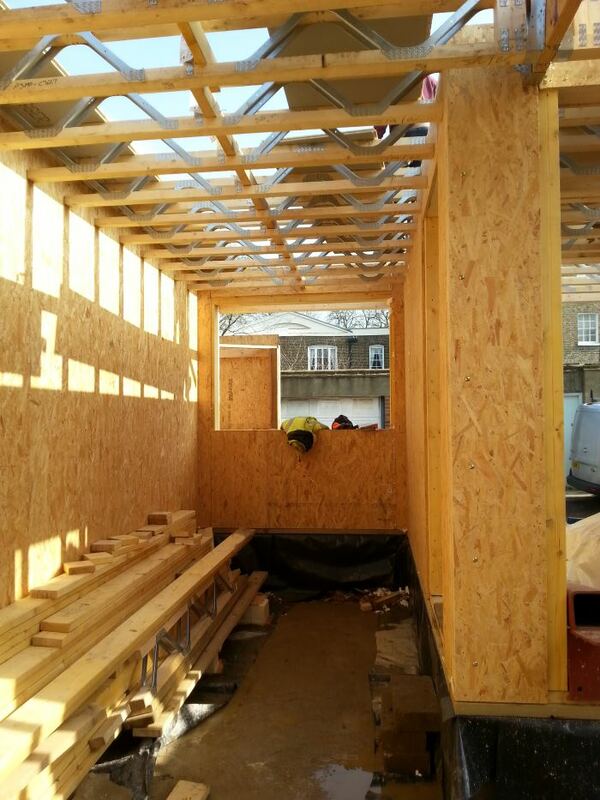 Once the timber cell has been put up the services can be going on inside – pipework, electrics, etc. – while brick work or cladding can be underway on the exterior. Wet trades are not crossing paths with the services. Kingsley wanted his house to be a comfy fit for everyone in the area and so he negotiated with the people either side about the aspect, size of the building, etc. As someone who really values his neighbours, presenting his intentions at every stage of the project worked very well. 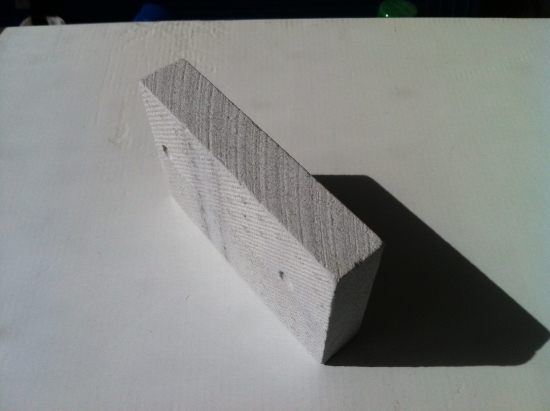 Two thirds of the face work is in a cottage mix of bricks (three local bricks that are used randomly) and then one third has got a modern version of weatherboard, which is a concrete board, called Eternit board (made by Marley). 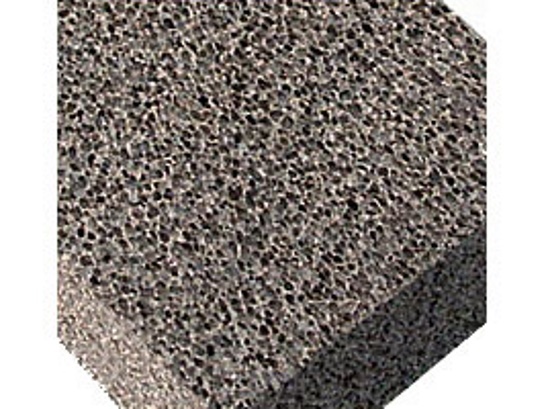 It gives the impression of being wood but is good for minimising heat losses and also will never need to be painted. 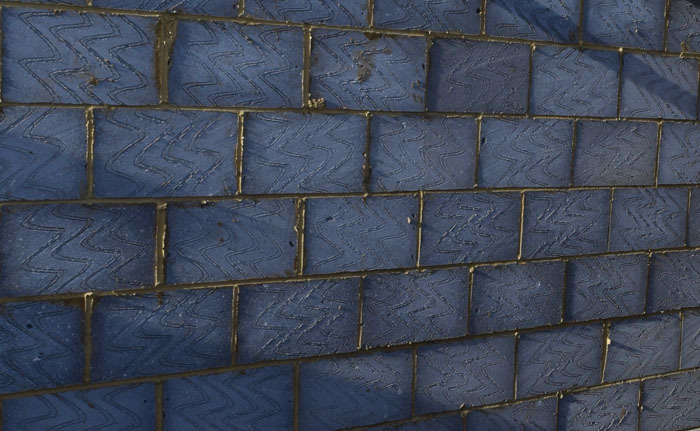 The SIPs Hold up the Bricks! 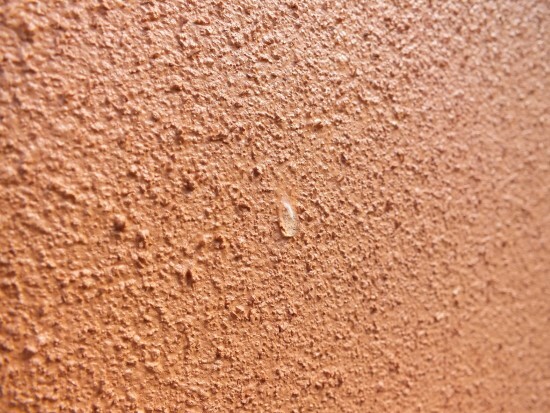 Kingsley points out that the brickwork – the face work – is attached to the SIPs with brick ties in the conventional way, so it’s not just held there by gravity. It is secured in the same way that brick to breeze block is secured, but really the SIPs panels hold up the bricks, not the other way around. Kingsley put a lot of effort into finding window frames. The triple-glazed ones he eventually bought were dramatically less than getting them locally. Kingsley does not understand why this is. 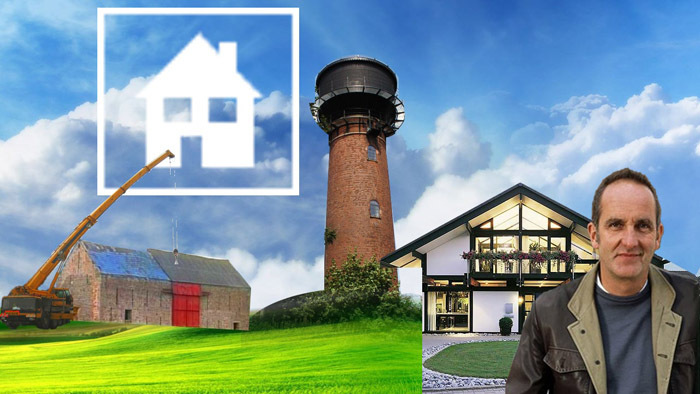 After considering many options including Huf Haus, but trying to temper budgets and reality, Kingsley ended up concluding that the money is better spent making sure you don’t need energy than in having very fancy low cost energy. So he put a lot of effort and money into making sure he doesn't lose heat in the first place (rather than having a cheap source of it). 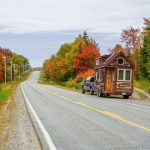 Kingsley did not invest in heat pumps or other renewables because he thought they were too expensive and he didn't want to have the worry of maintaining them as he got older. 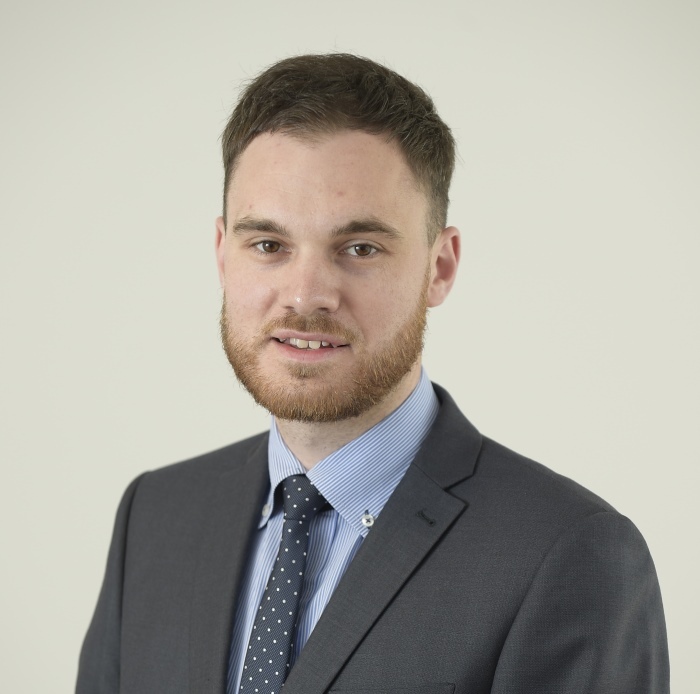 The thought of claiming on warranties of companies in 10 years for £30,000 bits of kit somewhere in the ground was something he wanted to avoid. 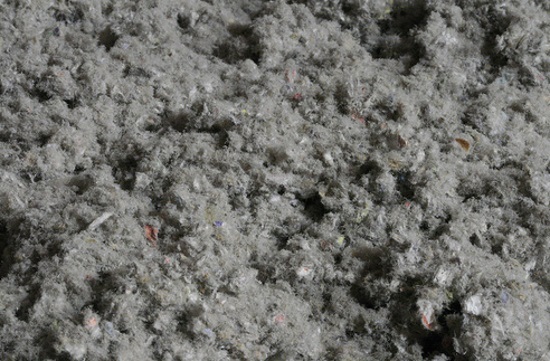 Although the appearance may be conventional, the house is airtight and very well insulated. It uses an air management system (mechanical ventilation with heat recovery) to bring in new atomised air but without the heat losses. 80% of the heat of the expelled air is saved and there is a full air change in the house every hour and a half. A modern high efficiency condensing gas boiler drives the underfloor heating and the hot water, etc. Plus there is a cylinder that will accept solar and cabling to allow for PV at a later stage. 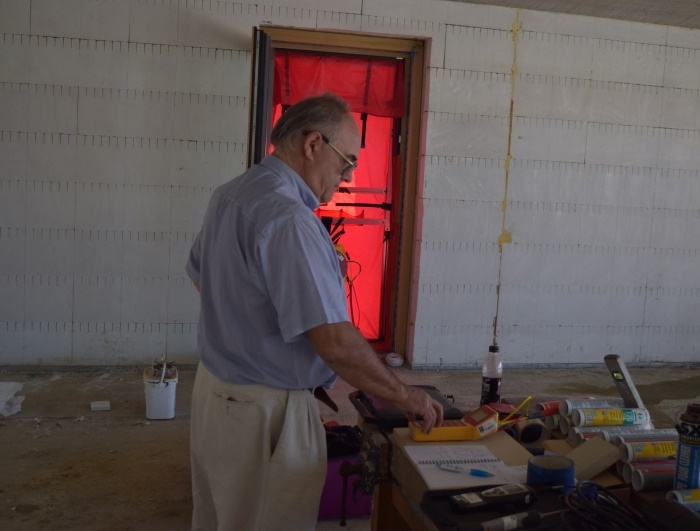 Kingsley has no plans to install renewable technology but if efficiencies continue to improve, he wants to make sure he can add them retrospectively (without having to change cylinders and knock holes in the walls to add wires, etc.). Although Kingsley could get the gas and water companies to be pretty cooperative, he really struggled with UK Power Networks. 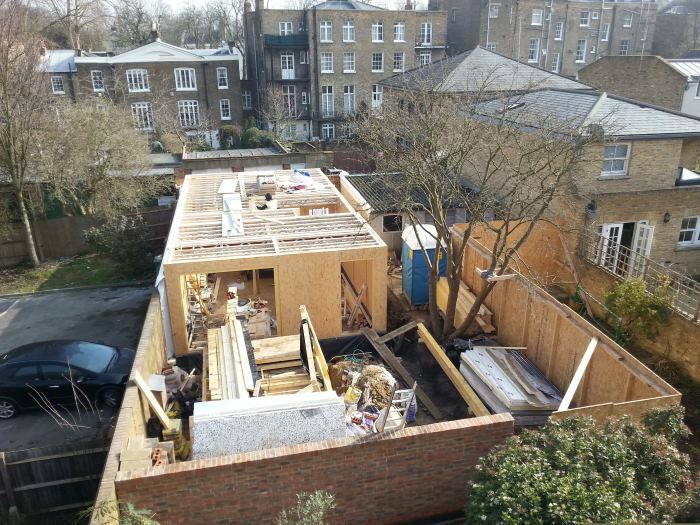 Kingsley's advice, for anybody doing a new build in the UK, would be to get that bit applied for at the same time as you get your planning permission. There is a 90 days notice period, even from when they say yes! And this does not necessarily mean they arrive on the 91st day. So, organising this is a priority because not having electricity reliably is going to be a problem. Kingsley says having a contract administrator really helped. Kingsley believes he was very fortunate to have a team that shared his vision and all clicked together. He gives the example how if his interior designer came up with a good idea for the kitchen, the person building the kitchen would readily help to achieve it. There were no hidden agendas. Kingsley was very pleased with his team and thought it was fantastic to have builders that put themselves out to get on with his neighbours. He says this set the flavour for the build and eased pressure points with parking, etc. 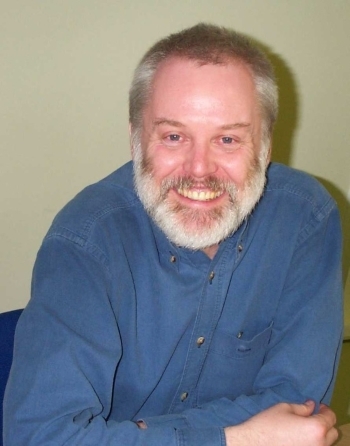 Download a transcript of the interview with Kingsley Barraclough. Elrond Burrell is a guest on the Home Style Green podcast. He gave a really good explanation of the Passivhaus standard (the comfort standard). Check out episode 30: Is Passivhaus relevant to New Zealand?